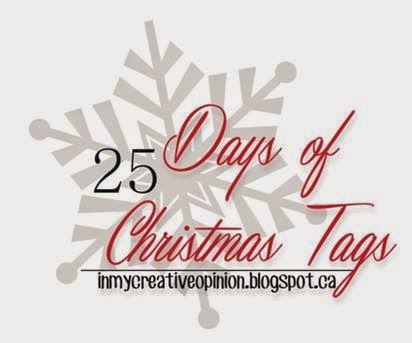 Good Morning, ready to start another week of the 25 Days of Christmas Tags? Here we are with Day 8! 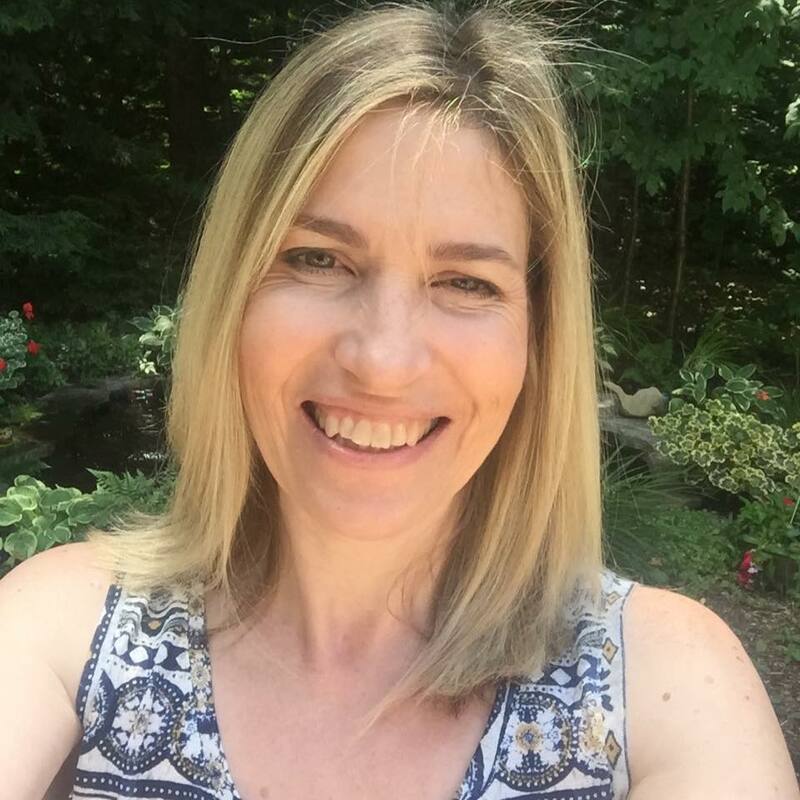 So excited to share today that my guest is Kay Miller of My Joyful Moments! I am sure that you know Kay, her gorgeous card designs and the way that she uses die cuts is always perfection. If you are not familiar with her then you must check out her blog, it's full of eye candy! Head over to her blog to see this in more detail and for another chance to win one of the prizes. 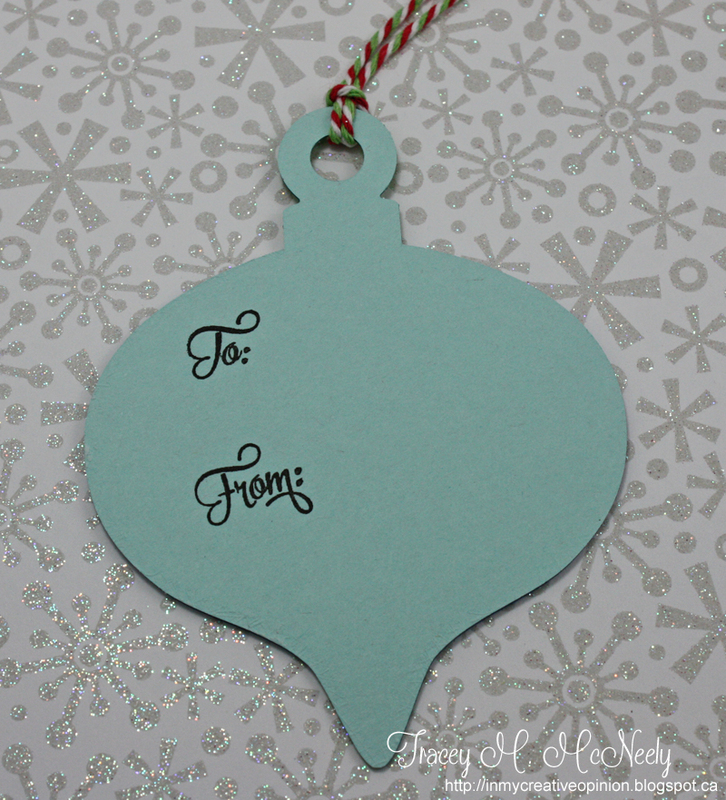 An ornament tag for today, perfect for a gift tag and also perfect for your tree! I used the ornament shaker dies from Papertrey Inc for my tag, but it is not a shaker and does not have foam between the layers. 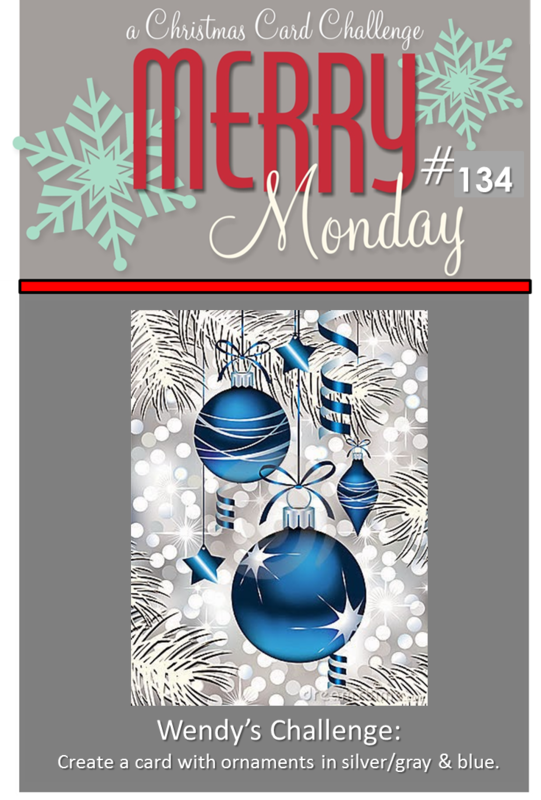 I used a the Simon Says Stamps Falling Snow stencil and white embossing paste for the background layer. I had to trim my die cut scene slightly to fit behind the oval opening on the ornament. I have had a few people ask why there has not been many tags with To and From on the front of the tags, I usually put them on the back. For a chance to win today leave a comment below. Don't forget to visit Kay's blog as well for another chance to win. BEAUTIFUL tags today - LOVE ALL the die cut AWESOMENESS!!! Seems to me that diecuts are the top "go-to" options for tag making this year, and with such a wonderful assortment of new dies, it's no wonder! Love Kay's deer tag - super sweet! Your tag, Tracey, has some lovely details - the holly top, the stitching, etc. - also sweet! Sooooooo beautiful! LOVING the shape on yours!!!!! Another pair of pretty tags today Tracey!! I'm getting so many ideas ~ thanks!! Very pretty. I like the dies you used and the falling snow. So pretty, Tracey... and why didn't I cut these? Kay's tag is so beautiful - love the fun shape and shimmery twine! And your ornament tag is awesome, Tracey! Such a sweet, little scene! Wonderful inspiration! Both, yours and Kay's tag are beautiful! Love them! What lovely tags, they are a gift themselves. Beautiful tags. I love your ornament shape Tracey. Great idea to use the shaker tag like this. Love it. Both tags are awesome! Love Kay's work! So beautiful! Love white and blue at Christmas! wow...two more amazing tags. I love the sweet scene you created with the Tinsel and Tags. I love both tags! Dies are such a wonderful invention! Sure wish I had more of them! Love the ornament tag. Well done. I like to put to and from on the back too. Beautiful Winter scenes on both of the tags Ladies! I have so enjoyed all your tags and those of your guests...I remember last year you inspired me and I might just be able to make some after this Tour of Homes is through! Everyone is so different and I love that many stamps are used! And YES, a hug is a very easy thing to give and receive! consider it done on Friday when Linda comes down on the train!! Thanks Tracey! Kay's tag is so pretty...thanks so much for sharing the link to her blog! LOVE your ornament tag, Tracey! Your scene is so lovely, and the color combo is so pretty! A full-on swoon-fest over today's two tags of stunning beauty! Kay's is, simply, a work of art; yours is, absolutely, pure joy! Yet more inspiration and more smiles!! Oh wow, I really love those tags! This is so sweet..love the dies you used! Beautiful tags today! I put my "to, from" on the back too. I hate to spoil the look of the front sometimes! Kay's tag is gorgeous and so is yours! I love that little scene! Love that shaker ornament tag, Tracey. So pretty! I love anything Kay creates! Both tags are great and I am looking forward to see what else you have in store for us! Love the little winter scene you created Tracey! Gorgeous. I love how the blue looks with the green. I love the ornament tag! It's perfect as a tag and an extra little gift! Love your ornament tag, Tracey! I've seen it a bunch in Pinterest already. :) And of course Kay's tag is beautiful. Gorgeous tags! I like how you used the shaker dies to make a non-shaker tag! The ornament shape is a brilliant idea! Love the snowy little scene too. Gorgeous tags! Love that ornament shape. Wow so far I continue to want to make each and everyone of these tags! I am loving the inspiration here! Both tags are gorgeous! I want to make a tag! Stunning tags!! Love 'em both!! Stunning! I love the image, the shape of the tag and the colours! Gorgeous tags, I like both shapes and the little scene you created in the ornament shaped tag. Thanks for sharing at Merry Monday. Your ornament tag is so pretty. Thanks for sharing. Love how you used the PTI die cut. So cute. Two beautiful tags using lovely dies!! You've prompted a bit of tag mania (it's a good thing! ), so I'm way ahead of the holiday game! 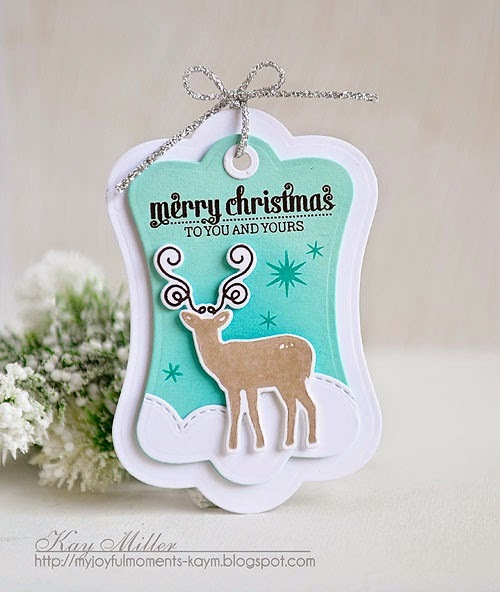 I just love the die cut shapes of these two festive tags! Oooh, that ornament tag is SO cute! Love the little village scene inside of it! I just LOVE that PTI ornament die - I thought about the tags doubling as ornaments too! 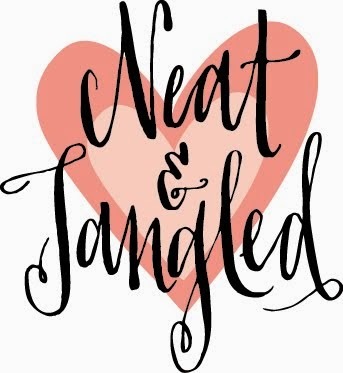 LOVE the scene on your tag - so cute! I'm loving all these tags ideas! Thanks for this great "25 Days"! I love your ornament today Tracey....I also will usually stamp the back of my tags or I will put the recipients name on the front with stickers or even wood veneer letters. Fabulous tags, love them. Thank you for joining us for Merry Monday. Oh, I like that ornament! Super cute tags - love the deer and the ornament. What a darling ornament tag! So cute!